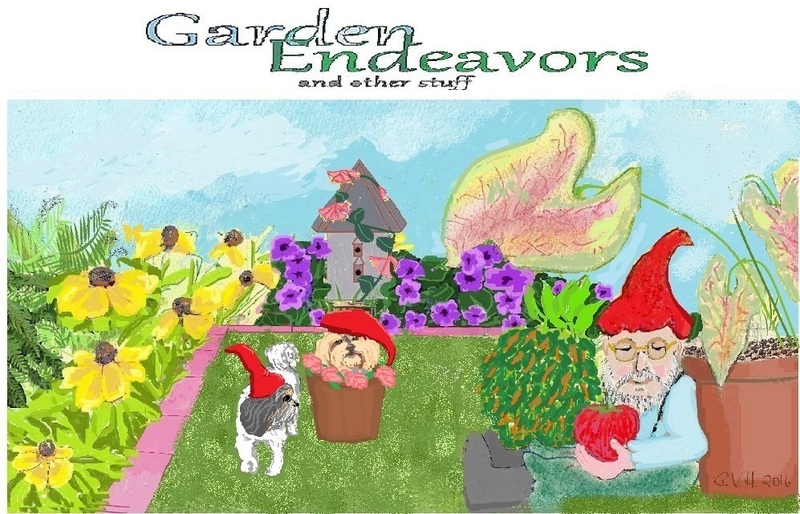 Garden Endeavors and other stuff: Something New ? Boy, it's been hot ! I'm guessing it's been the same for most of you. All is well and coming along, slower than planned but who cares, sometimes you have to take your time and just enjoy life. This a winner every year. Started these from stolen seeds at our local zoo. Seen these before on the ground but never close up like this. The caterpillars are on a dill plant. Not crazy about dill but now I'm thinking it's a good thing. 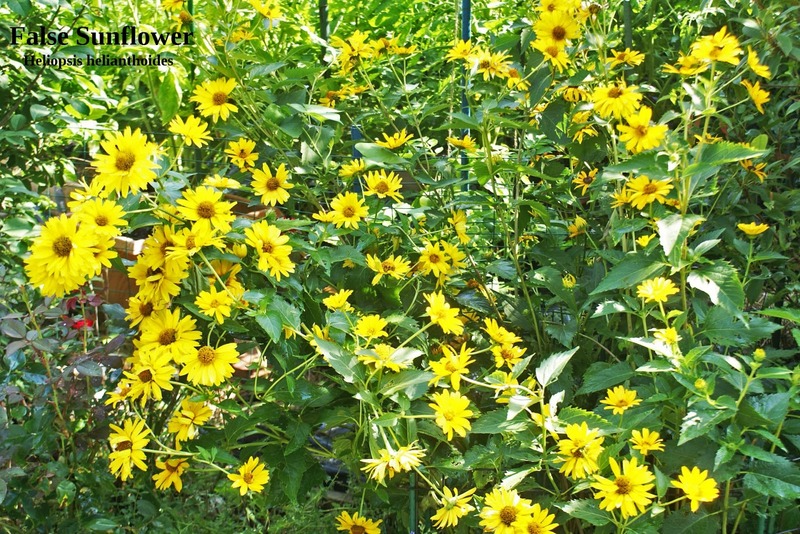 American gold finch always loved our sunflowers. But who know they're also crazy about False sunflowers. Making garlic look pretty for gifts. nice to know you are watching my blog when you are relaxed. People often call them "tranquil" sometimes i don´t know why. But, it seem like I have to introduce myself. I´m a woman and my name is Monica. I created my alias, NatureFootstep, when internet was young and you should be careful, and I keep it. Great post Patsi! 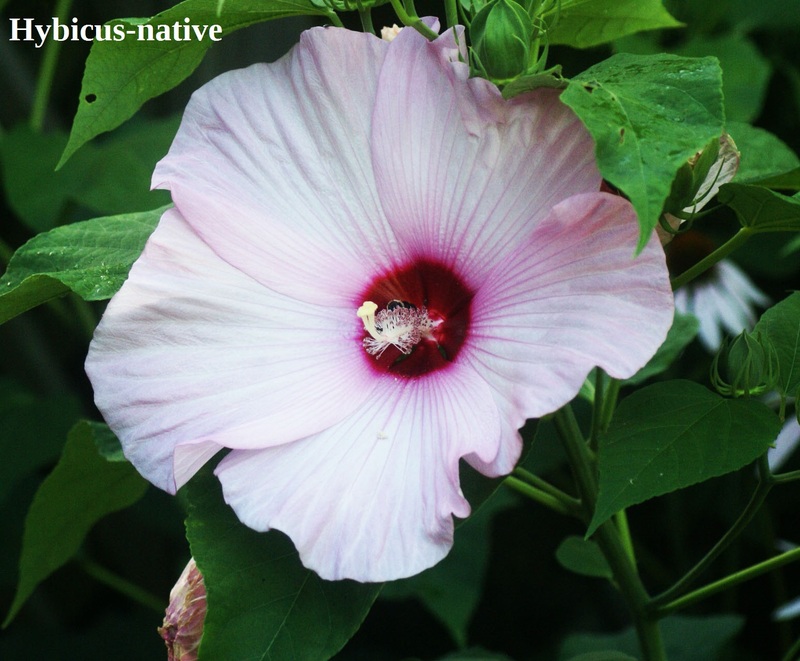 I love that you "stole" those hibiscus seeds. We used to do the same type of stealing from the Boise Botanical Garden. :-) Who doesn't love beets? 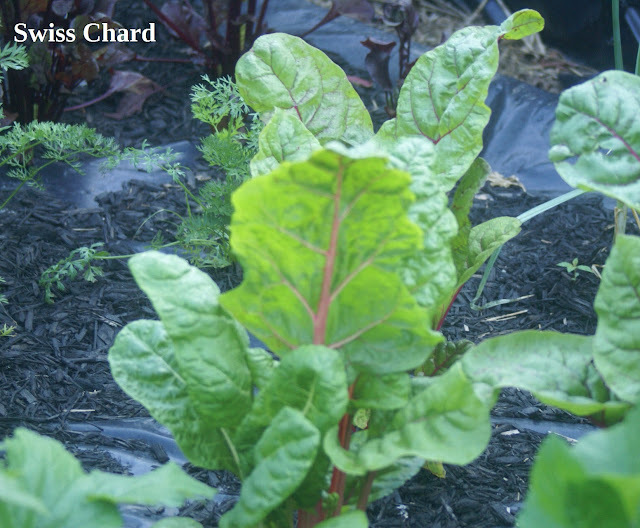 I know I do, and Swiss chard. 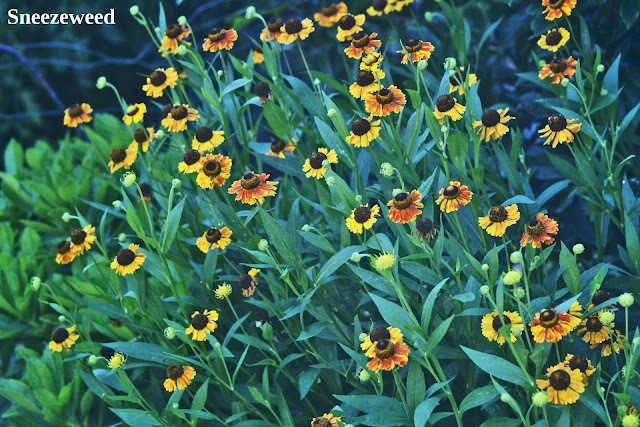 Your sneezeweed, very pretty! I'm going to have to be looking at everyone else's flowers until we get something beyond our local wildflowers going. Your dogs are too cute. Thanks for the question concerning our move to Montana. Sometimes things go around in my head so much and I forget to mention them out loud. Ha ha. I think I answered your question in today's post. 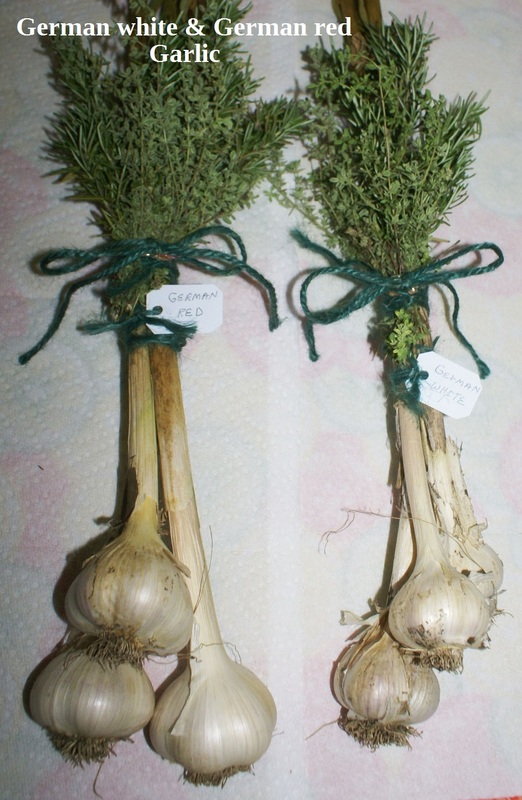 Hi Patsi, your garlic gifts look very pretty. That is really a cool idea! Loved to see the photos of your dogs, especially the first one is very cute. Our Doberman girl puppy is growing like crazy. Right now she is teething and maybe because of the pain is a little extra naughty ;-)! Wishing you wonderful summer days! Love the set of eyes peeking out from under the fence! It has been super hot here and no rain whatsoever. I have dill, but haven't been blessed with an caterpillars. I love finding butterflies in the garden. that beady - what you're up to? 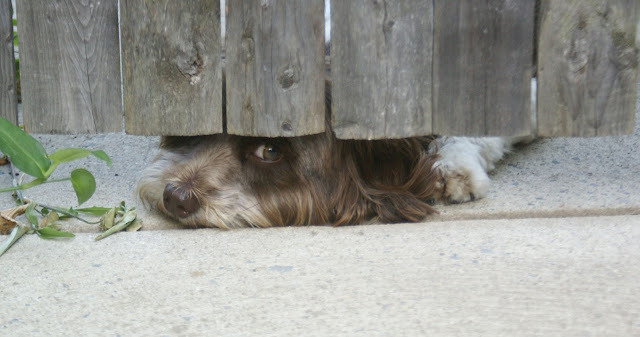 - eye under the gate is a delight! Hey there Patsi girl ! Dill is a GOOD thing (I love the smell of it) I grow it close to roses and clematis to ward off bad bugs too! Love the pictures of the babies, they both look hot .. this summer has been wicked .. can't wait till Fall! 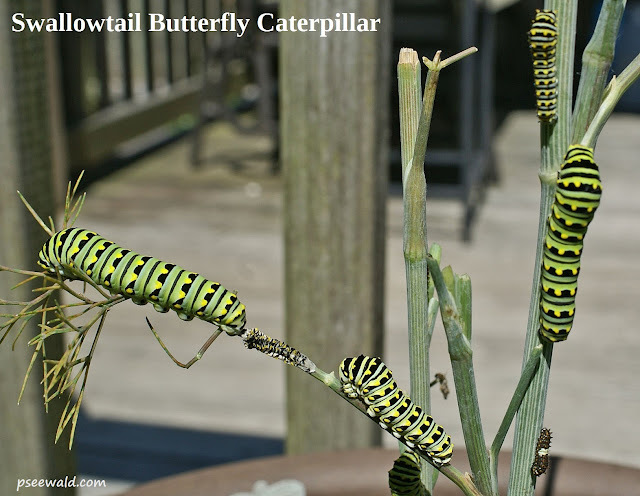 PS ... that is amazing garlic you have and I think those are black swallowtail butterfly caterpillars you have there ... they look fantastic !! I live in the UK, so NO, it has NOT been hot (mostly). 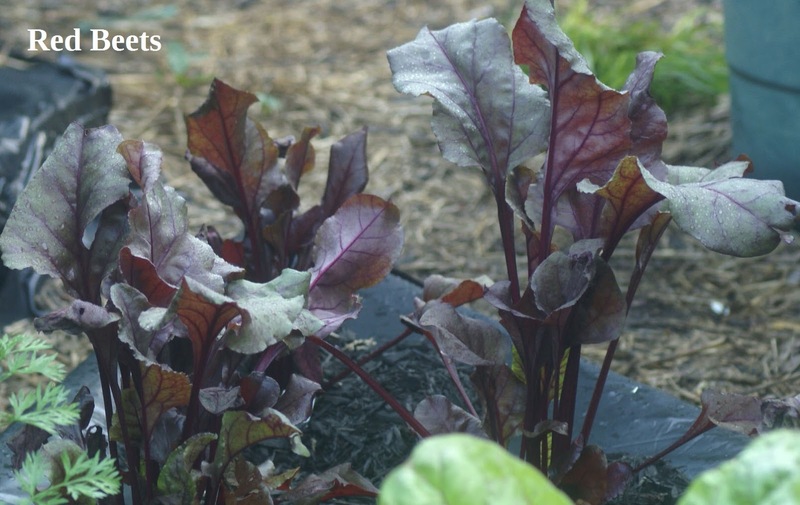 This Summer has been pretty grey, and very windy - so not a good one for gardeners. I'm wondering if what you call Sneezeweed is what I know as Helenium...?